At some point in our lives, I suspect every one of us has picked up a long stick and pretended to be a sword-wielding knight engaged in a mediaeval crusade. Have we lost the art of relaxation? A domestic abuse incident is recorded roughly every 10 minutes in Scotland, and one in five women will experience some form of domestic violence in their lifetime. What are your plans this summer? A week in Majorca or perhaps a luxury cruise around the Caribbean? An Aberdeen-born doctor whose pioneering research into MRSA has been hailed for saving countless lives has succumbed to cancer at the age of just 54. You slowly become conscious, drifting into that dreamlike state somewhere between sleep and wakefulness. I could sit here and type out all the ways that plastic is damaging our environment, from ending up in the bellies of our fish to contaminating the air we breathe. Fergus Davidson started his military career as a cavalryman and moved on to flying Spitfires during the World War II. A speech and language therapist who helped shape the north’s integrated health and social care system has retired after nearly 30 years of service. A whisky giant’s court bid to halt construction on a £100million wind farm near its Moray distillery has been thrown out. Battered for generations by high seas and wild weather, Scotland’s lighthouses stand sentinel over some of the most spectacular coastal scenery in the world. An Inverness man has admitted knocking down a four-year-old boy in a residential street last July and then driving away from the scene. Education chiefs have sent letters to parents in the Highlands warning against the “increasing trend” of pupils being taken out of school to go on holiday. A police officer who was involved in a serious crash while responding to a 999 call has failed in a bid to have her careless driving conviction quashed. Fears have been raised over pupil safety at north schools in the wake of revelations that the council is facing a £100 million buildings repair and maintenance backlog. A top gymnast has claimed the “biggest sport in Inverurie” has been forgotten about when plans for a new £15million sports centre were drawn up. A terminally-ill Aberdeenshire mum, who has just months to live, has promised to create a lifetime’s worth of memories with her husband and young children. Schoolchildren in Sutherland are making round trips of more than 200 miles to see a dentist because of “staffing issues” manning a mobile service. Police have vowed to carry out a “full review” into why officers took two hours to show up at an Inverness cafe when it was targeted by a gang of teenagers. A north man has told how he and his family have been left living in a hotel after Hurricane Harvey wrecked their Texas home. Bottled water has been issued to Moray school pupils after the drinking supply was found to be contaminated with lead. Transport Scotland has apologised to residents in two north-east villages after letters were issued, incorrectly telling them about an imminent road closure. A 64-year-old man has appeared in court, charged with attempted murder, following an alleged daylight attack in Aberdeen. Construction has begun on a glass mosaic which will become a mainstay of the Duthie Park for generations to come. A devastated Moray widow faces a £1,400 bill to replace her husband’s gravestone after vandals smashed it into pieces. An under-pressure food bank has launched an urgent appeal for a permanent base in the north-east so it can help meet demands. A young campaigner has penned an energetic song as part of an impassioned plea to encourage doctors to move to Moray. 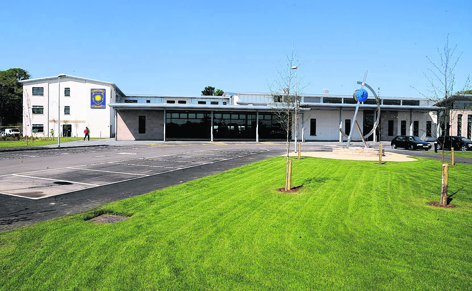 A new multimillion-pound school has taken another major step forward. One of Aberdeen’s most famous statues took pride of place at the weekend after being returned to its plinth just outside Aberdeen. The managing director of Sport Aberdeen has said he is “disheartened” and “alarmed” by the outcome of a wide-ranging business rates review. Letters have been sent to the parents of children at Dingwall Academy following reports that a group of pupils were experimenting with drugs during school hours. Aberdeen airport should get a taste of the public money being pumped into rival transport hubs, the Scottish Conservatives said after finding it was getting no help.